Pre tých z vás, ktorí ste nedočkavo čakali na to, až sa kniha Poďme objavovať Slovensko objaví na pultoch kníhkupectiev - dobrá správa! Oliver a jeho kamaráti sa vracajú a zahajujú prípravu na prázdninové cestovanie po Slovensku vo všetkých obľúbených kníhkupectvách - napríklad tu. New book in the making! 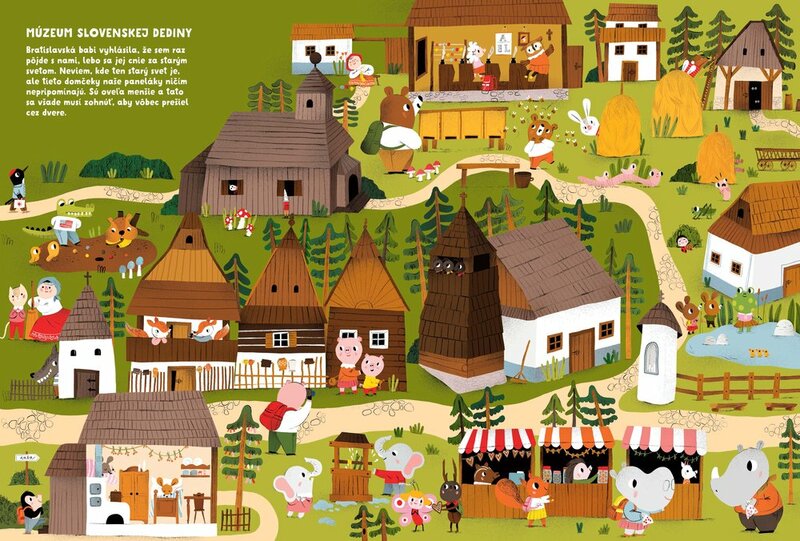 There is never enough busy scenes children’s books in the world! At least that’s what I think. And therefore, I decided to climb into my studio for a few months once again to work on a new book from the series Podme objavovat (Let’s Explore). To be honest I really had a slow start (as I always do when starting a new book project. And the bigger the project, the slower the start.) But as the images started to unwind in my head, everything fell into place and I hope this one will come into the light in a few months. Some of the illustrations are already in color - here is a tiny sneak peek! 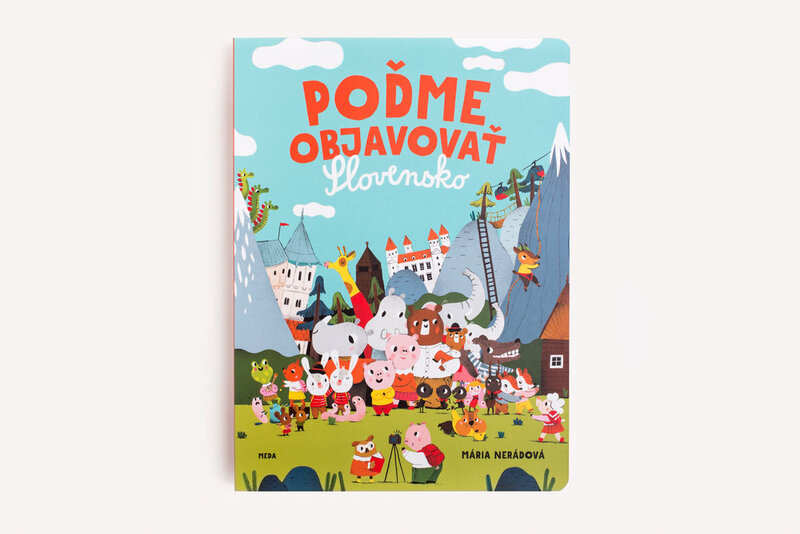 Those of you who have been waiting for your copies of the Podme objavovat Slovensko book - we’ve got good news! We’ve have shipped most of the boxes last night and there is only a few of them left waiting to be shipped today. Most of you (the best supporters in the world) should have all your goodies by the end of this week. Then, the book is off to the bookstores! Thank you everyone for your support during the crowdfunding campaign! 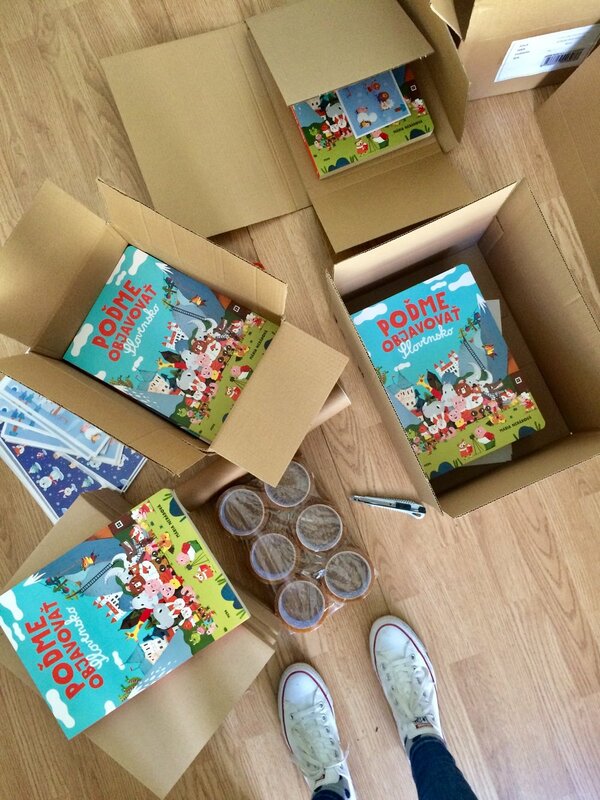 The book is here thanks to you! Advance Copies of My Book Came In. Startlab kampaň dosiahla 100%! Ďakujeme a ideme ďalej! Nestáva sa mi často, že by som mala problém s písomným prejavom, ale dnes som úplne bez slov. Naša startlab kampaň dosiahla 100% za menej ako 24 hodín, ste super! Pokračujeme ďalej, nech je knižiek medzi vami a vašimi malkáčmi čo najviac! ĎAKUJEME!!! This is the last sneak peek of the book that I have been working on for a while. 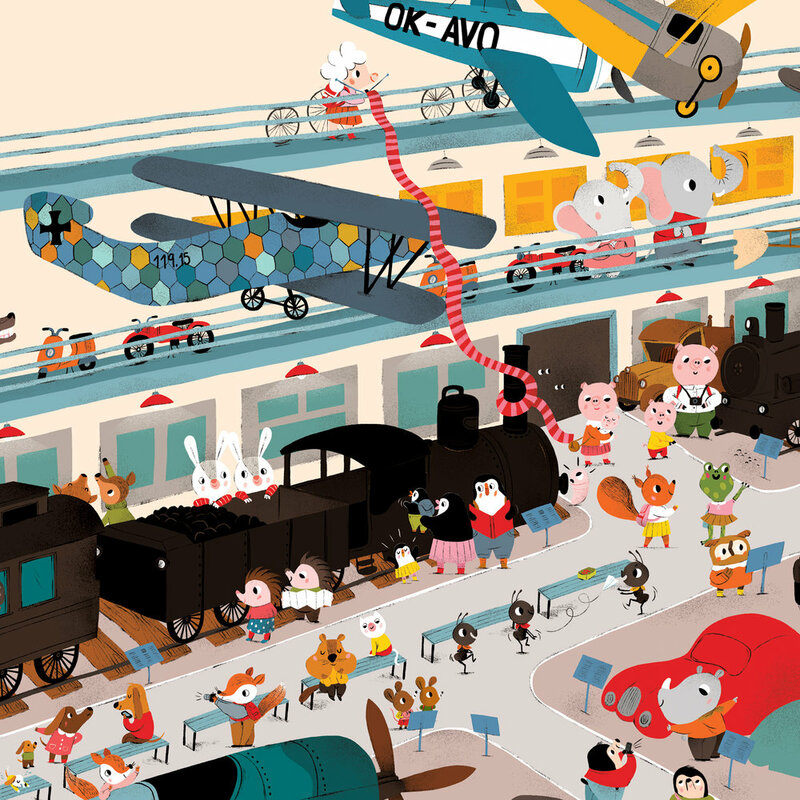 In my next post, I hope to finally show the cover and few spreads, yay! We are sending this baby off to print tomorrow and then I guess I will crawl somewhere in the woods to just run and hibernate to get over the waiting anxiety. Keeping my fingers crossed! I am so excited about this book I don't even know where to begin! This is going to be such a wonderful and colorful collection of my childhood memories, I can't wait to send it off to printers and have it published. I have finally decided to go ahead and try to get on the path of self publishing. By far, I have no clue what it will bring and how will I be able to cope with all the issues it may bring. 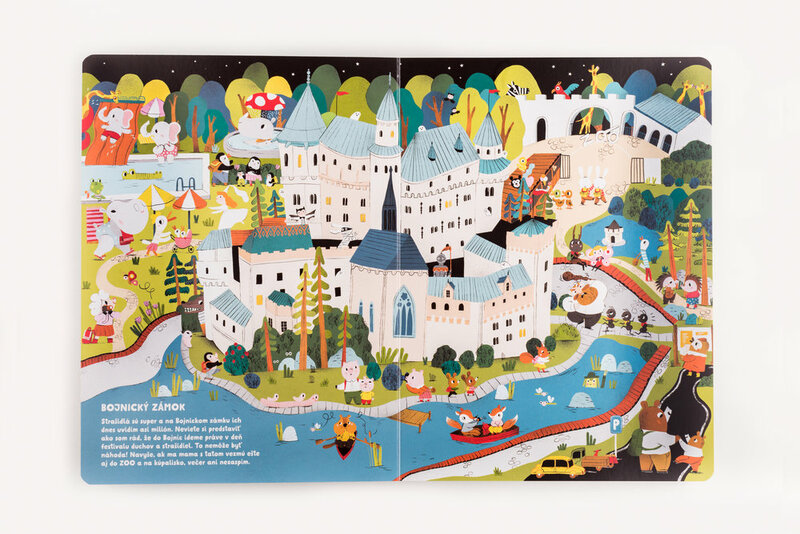 But it makes me really happy to create it and I will be keeping my fingers crossed for the book to make others (well especially the little ones) at least equally happy! Will try to post the updates more often the following weeks! 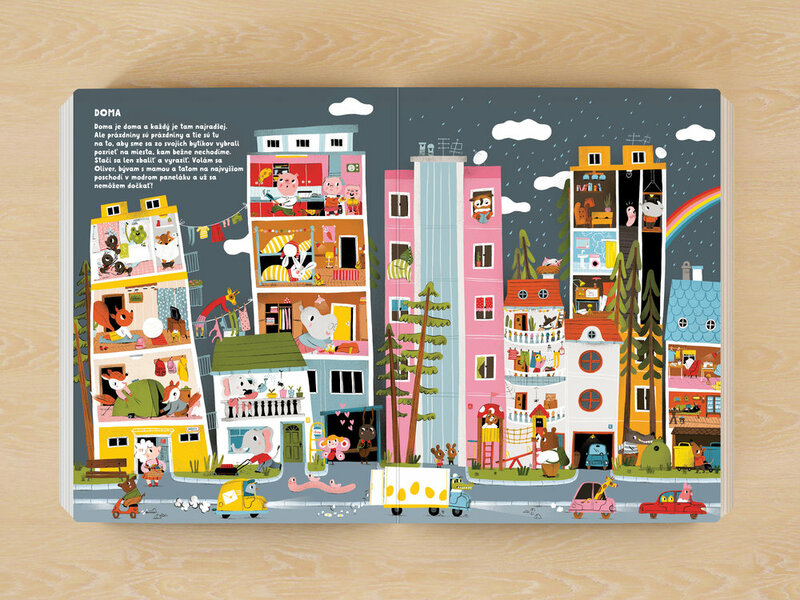 Sneak peek from a new book! I kept a little quite lately, but I really had a good reason - I started working on a project that I have been keeping in my mind for a looong while. 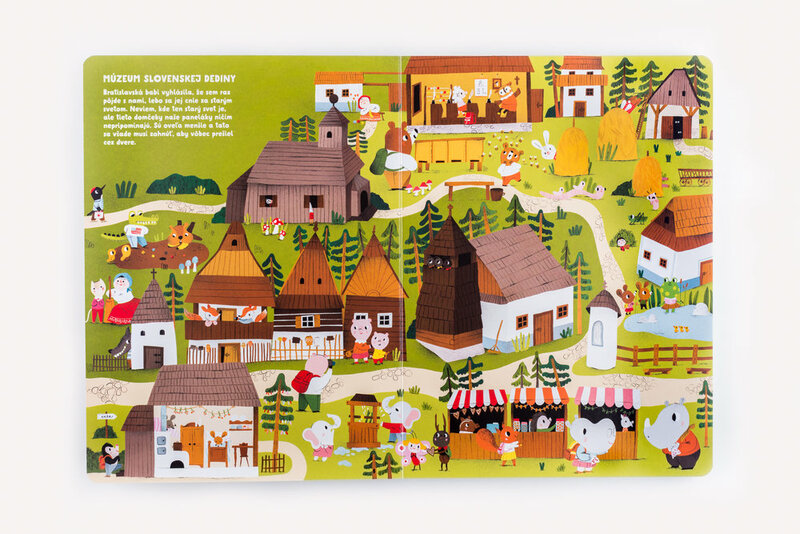 To be honest I haven't felt so happy working on a book for quite some time - I get up every morning rushing to my studio and sit there coloring these spreads until late night. I can't show you more, but it is a dream job to me and I really hope it shows! You probably won't be able to take this suitcase for a holiday with you (although it does meet both ryanair and wizzair cabin bag restrictions!) but it could still fit plenty of goodies! 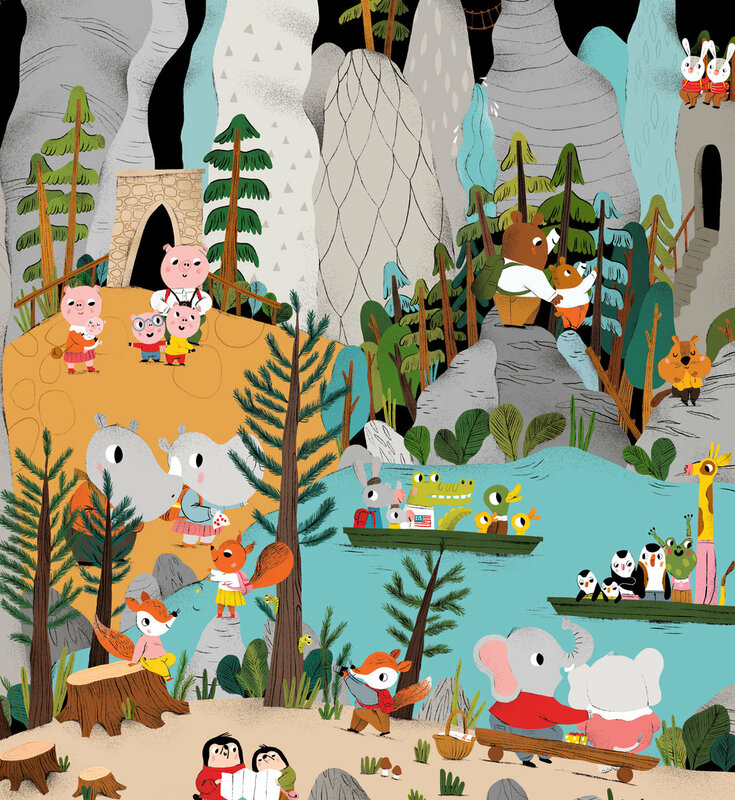 Newbie from the wonderful Auzou Editions full of forest and mountain animals just made me happy instantly! To be honest I still have a few dream projects on my check list, but sometimes a dream job really looks like a paper suitcase full of bear stickers. Enjoyed working on this a lot! 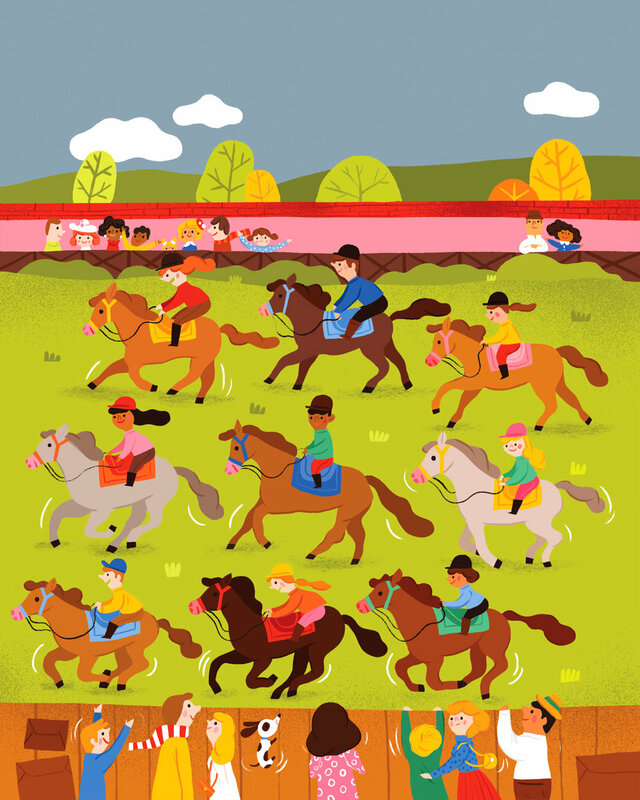 Horses and Ponies Activity Book - A Real Challenge! So much for me and my “enormous” talent for drawing horses - here Maria, why don’t you try a whole Horses and Ponies activity book and see how that goes! 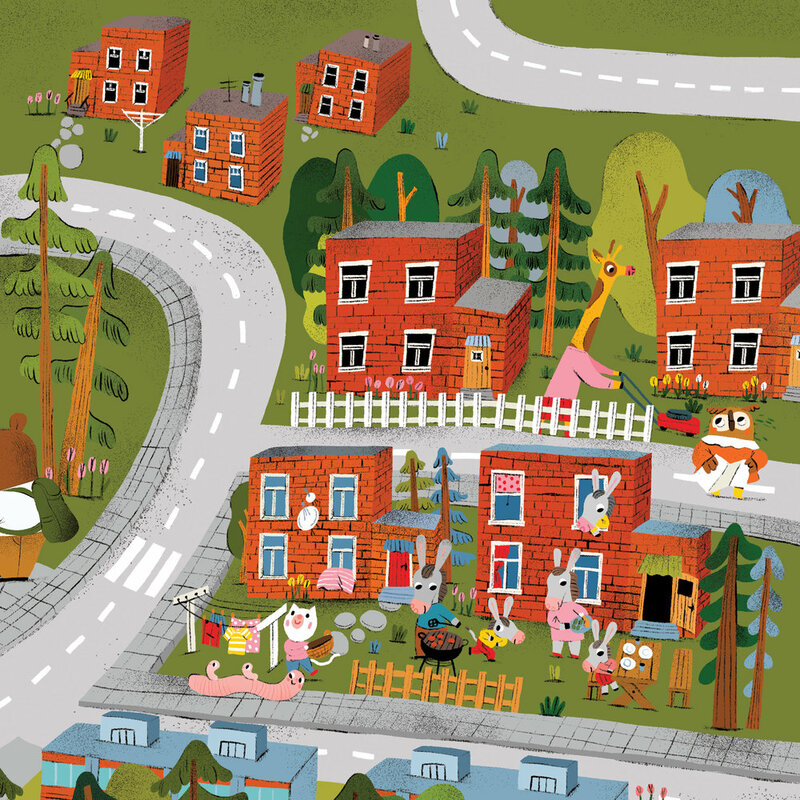 Tiny sneak peek of one of my most recent projects, soon to be published by Usborne. Can’t wait! I wish I had more time to take care of this tiny blog of mine. Just completed a really neat space themed sticker book for the wonderful folks at Pat-a-cake with great support of my beloved agent Doreen at Good illustration agency. Can't believe it was my first illustrated book of 2018 and I already feel there is no chance I will have as much fun with any other upcoming projects. (no, really, I bet there are will be great things to work on) This book was a blast and I really wish the tiny readers will find it cool as well. 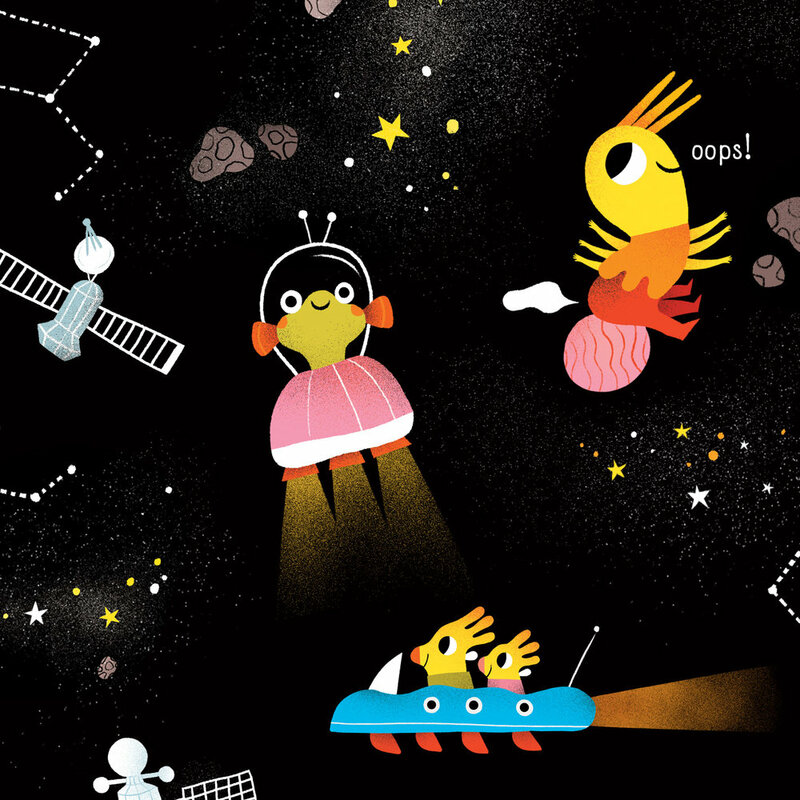 Any publishers who are looking for an illustrator to work on a space themed project (best case scenario - animal characters), please send me an emai! Ha! I'll be posting more, but do follow my instagram and facebook for more recent work! See you there! 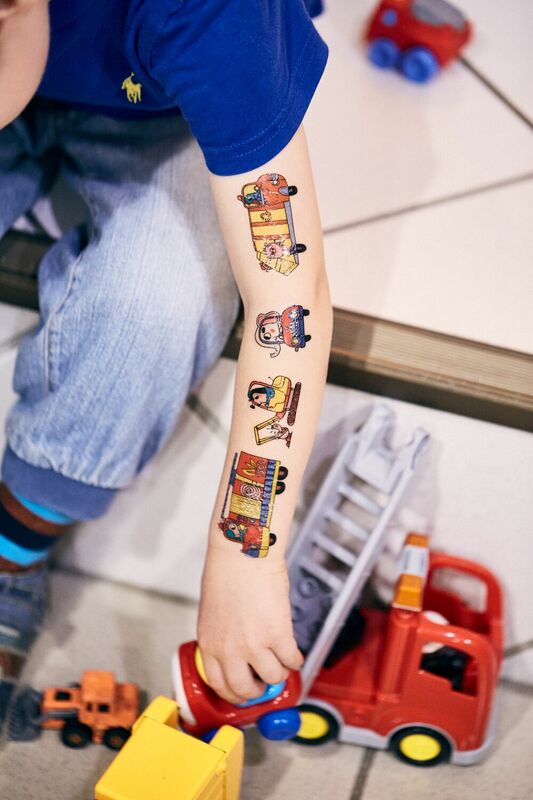 f you've been dreaming of getting a dumpster truck tattoo on your thigh, or make a statement with a locomotive on your back, or maybe you just want to make yourself feel beautiful with a teeny tiny cheese car on your ankle - well now you can! I illustrated some nice temporary tattoos for Slovak Kresky and they are finally available on their website http://kresky.sk/store. Go get'em tiger! Follow me on Instagram, too! Hey there! Long time no posting, I know! So much has been going on in the past few months, I did some travelling for most of September and it just seem to show a lot in my workflow haha! Anyway, I've been busy ever since and just this weekend I have completed a new project of animal stickers for Auzou Editions. I just love working with them, their projects are always so much fun! If you'd like to get more updates and see more of my work, you can follow me now on Instagram! See you there! Hello there! I still haven't managed to go get a haircut, but I did get some neat samples of the Alice in Wonderland book I illustrated last Winter! I have to say I was a bit shocked by the haircut that Alice got on the cover, but now I think it looks really fun and hope the little ones will like it, too, haha! 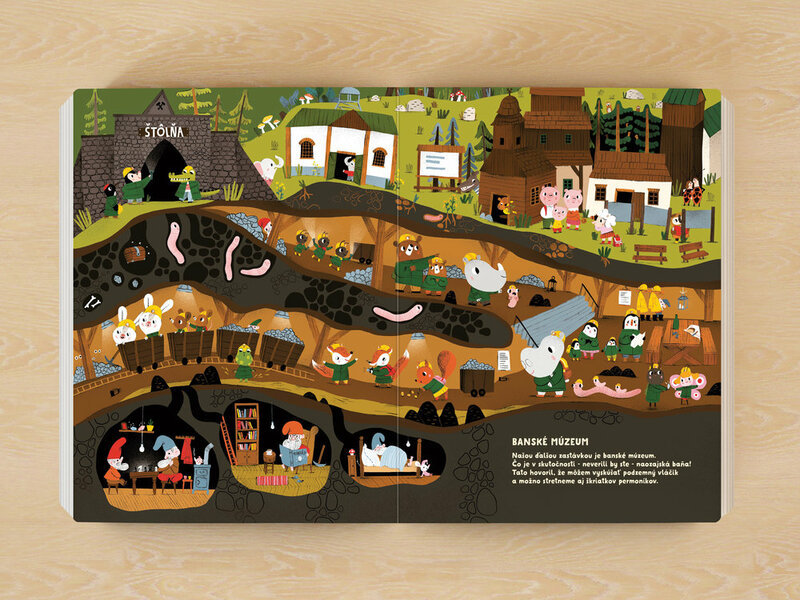 The book is full of touch and feel elements which are really quirky. It should be available on Amazon or Bookdepository (if not yet, then very soon). Enjoy your Summer and don't go down the rabbit hole! Where are you headed in this hellish weather? It's so hot outside I am happy to look at some ice and snow on the screen in front of me. Keeping my fingers crossed for all of us! I know I have kept silent on this tiny little facebook place of mine for a while - would be nice if I could say I was on a vacation, but unfortunately, I wasn't. The reason there was not a single word uttered here is simple - I was working on a set of children's books! If you ever think of illustrating 4 books at once, stop yourself right there. I love my job, that is true, but I also love chocolate, and if I ate 4 kilos of it at once, I would probably not love it that much and puke as well. (I have not puked from illustrating these, don't worry!) Anyways, as much as I wish I was smarter and allowed myself more time for these babies, I am so so so happy I could work on the titles like Pinocchio or Goldilocks and Three Bears (all time favorite of my little sister!) Will keep you posted when they appear on our planet. Off to finally cleaning my place and getting a haircut. Hello, life! Got this in my mailbox today! 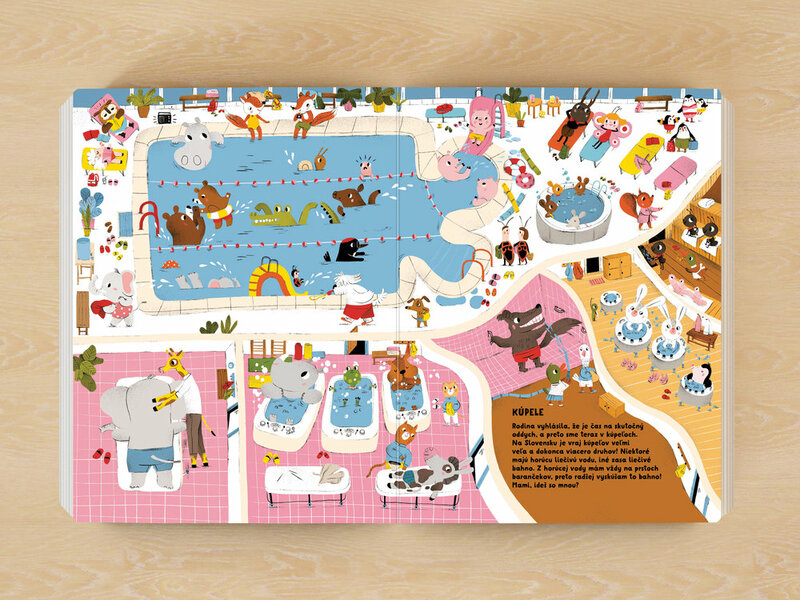 Little Children's Puzzle Pad from Usborne is now available on Amazon and other online stores. Cover by fabulous Manola Caprini :-) Yay!